Trust is essential in sales. Learn 3 sales strategies to develop the trust that will move your prospects forward in the sales funnel. Careful hands tighten a blindfold over your eyes, shutting out the world. Even though you know what will happen, standing blindfolded on that ledge is still nerve-wracking. Then you do it. You let go and gravity pulls you backward and you fall. Exactly as promised, they catch you and lower you to the ground. You the blindfold off, exhilarated by your success. 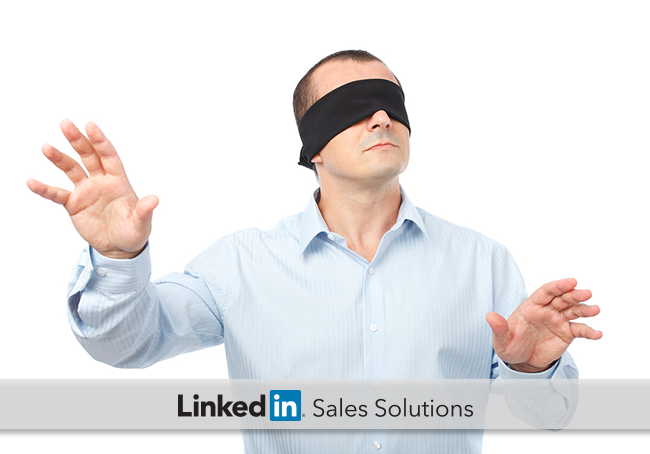 For many prospects, committing to a sale can feel like a “trust fall”. A lot rides on the decision – the ultimate success of their initiative, a significant part of their budget and an assessment of their ability by their boss. They worry that if they choose the wrong vendor, their career will be negatively impacted. That’s why it’s so important for salespeople to focus on developing trust with their prospective customers. A prospect might be initially drawn to your profile based on research or an invite from you directly. However, they won't move forward in the buying cycle until they feel confident in your ability to deliver. When someone is asked to fall backwards off a ledge, they need reassurance that people will catch them. It’s hard enough for most people to do that when they know the people who are supposed to catch them – and nearly impossible when they don’t. Proactively create content – such a blog posts or eBooks – that demonstrate your expertise. Share articles on LinkedIn that prove that you’re continually educating yourself about the topic. Participate in group discussions to answer common questions that your prospects might have. Even if the question isn’t asked by a prospect, your prospect could be reading the answers. No one wants to be the first person to do a trust fall. Even though the risk is exactly the same for each person, it feels more dangerous for the first person to go. Build trust with your prospects by connecting them with other people who have already benefited from working with you. Studies show that 84% of consumers take action based on recommendations from people they know. Ask your happy customers for testimonials, public recommendations are best, but you’ll also benefit from private ones that you can send directly to a prospect. Leverage the connecting power of LinkedIn as well by asking your current customers for referrals. According to eighty-two percent of small business owners, referrals are their main source of new business. Nothing builds confidence to do a trust fall more than being a catcher for one first. That’s because you start working as a team and realize their competence. Then, when it’s your turn to don the blindfold, you trust that they’ll catch you. Preemptively create a team with your prospects by taking advantage of how the brain works. When someone does a favor for someone else, a mental quirk called cognitive dissonance makes the giver feels more positive towards the person asking the favor. If you’re looking to build trust with a prospect, ask them to help you first. Ask if they have 10 minutes to give you their perspective on a topic or give you feedback about a product/ service idea. If you’ve posted a question in a LinkedIn group, ask them to share their take on the subject. They’ll be flattered that you value their expertise – and will trust your expertise more as a result. If you can build trust with your prospects early on in the sales process, they will feel more confident that you can deliver the results you promise. That’s the first step in moving them forward in your sales funnel. For sales strategies to move prospects towards a sale, check out LinkedIn’s eBook with sales strategy tips.